Effective April 19, 2017, the Consolidated Skilled Occupation List - which assigns eligible occupations for the Subclass 457 Visa program and the Direct Entry stream for the permanent Employer Nomination Scheme Visa program - will be significantly shortened. Employers will be unable to sponsor foreign nationals assigned to occupations removed from the list, which include some occupations in the information communication technology and engineering sectors. Notably, pending Subclass 457 Visa nominations and applications in the removed occupations will not be approved. Effective April 19, 2017, the Consolidated Skilled Occupation list (CSOL) - which assigns eligible occupations for the Subclass 457 Visa program and the Direct Entry stream of the permanent Employer Nomination Scheme (ENS) Visa program - will be significantly shortened from 651 to 435 occupations, with 216 occupations removed and access to 59 other occupations restricted. The CSOL will also be replaced with a new Short-term Skilled Occupation List and a new Medium and Long-term Strategic Skills List will also apply to the Subclass 457 Visa, also effective April 19. Some examples of the removed occupations include Petroleum Engineer, Telecommunications Cable Jointer, Electronic Engineering Draftsperson, Electronic Engineering Technician, Mechanical Engineering Draftsperson and Telecommunications Technician, Information and Communications Technology Support Technician, Market Research Analyst, Retail Buyer, Sales Representative (Medical and Pharmaceutical Products), Human Resource Adviser, Telecommunications Cable Joiner, Market Research Analyst and Sales Representative (Industrial Products), to name a few. The full list of removed occupations can be found here. • The CSOL will be replaced with the new Short-term Skilled Occupations List (STSOL), which will be updated every six months based on advice from the Department of Employment. Importantly, the maximum duration of Subclass 457 Visas issued for occupations that are on the STSOL will be two years. • The previous Skilled Occupation List (which applies to the General Skilled Migration category) has been renamed as the new Medium and Long-term Strategic Skills List (MLTSSL ). This list is comprised of occupations that have been assessed as being of high value to the Australian economy and aligning to the Government's long-term training and workforce strategies. The maximum duration of Subclass 457 Visas issued for occupations that are on the MLTSSL will continue to be four years. To be eligible for a Subclass 457 Visa or the Direct Entry stream of the ENS Visa program, employers must nominate an occupation on the list of skilled occupations and the foreign national must show that he or she has the necessary skills for that occupation. Historically, the list has been expanded or shortened based on labor market shortages for those occupations. The Australian government has stated that the reduction of the list results from the fact that the removed occupations are no longer in shortage. Effective April 19, employers will be unable to sponsor foreign nationals assigned to occupations removed from the list. The list applies retrospectively, meaning that all pending Subclass 457 Visa nominations in the removed occupations will not be approved. For most employers, the removal of designated occupations from the list is unlikely to have a major impact as most commonly-sponsored occupations remain. However, certain occupations are listed with caveats which impose additional criteria for certain occupations including but not limited to Corporate General Manager, Information and Communication Technology Project Manager, Information and Communication Technology Support Engineer, Sales and Marketing Manager, Corporate Services Manager, Accountant, Recruitment Consultant, Marketing Specialist, Contract Administrator, Chefs and Cooks. These caveats are based on factors including the size and nature of the business, proposed base salary and minimum level of experience that is required. All employers should review the removed occupations and should contact their immigration professional to understand the full implications of removal of an occupation from the list and to discuss possible alternatives. Fragomen will continue to monitor the situation and will provide further updates as new information is released. This alert is for informational purposes only. 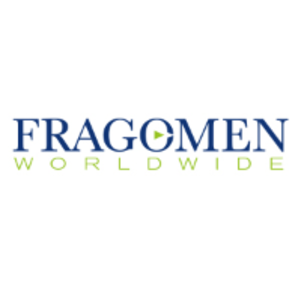 If you have any questions, please contact the global immigration professional with whom you work at Fragomen or send an email to fragomenclientcorrespondence@fragomen.com.